Newsmag allows you to transform the category pages into creative interfaces that guide the visitors to the desired content. 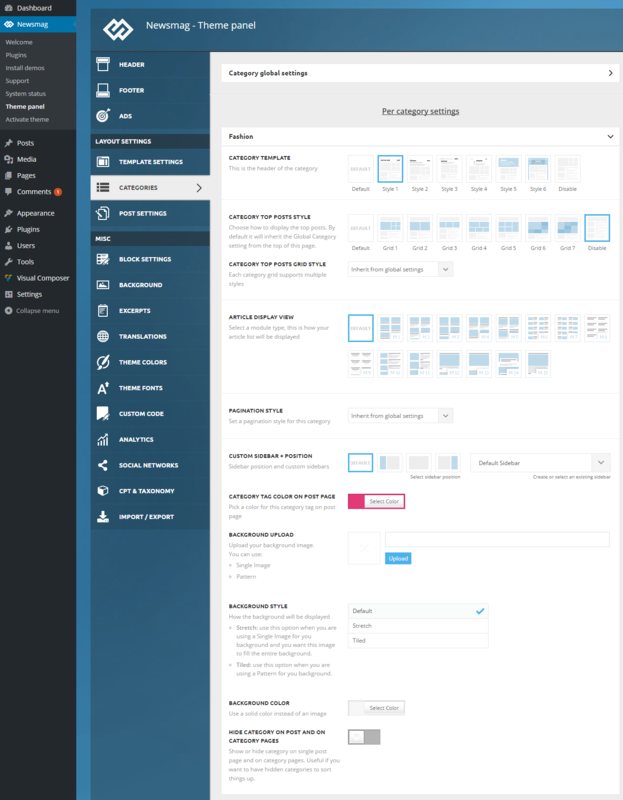 On the top section, you can use 6 category header templates and 7 different grids with 7 styles each. 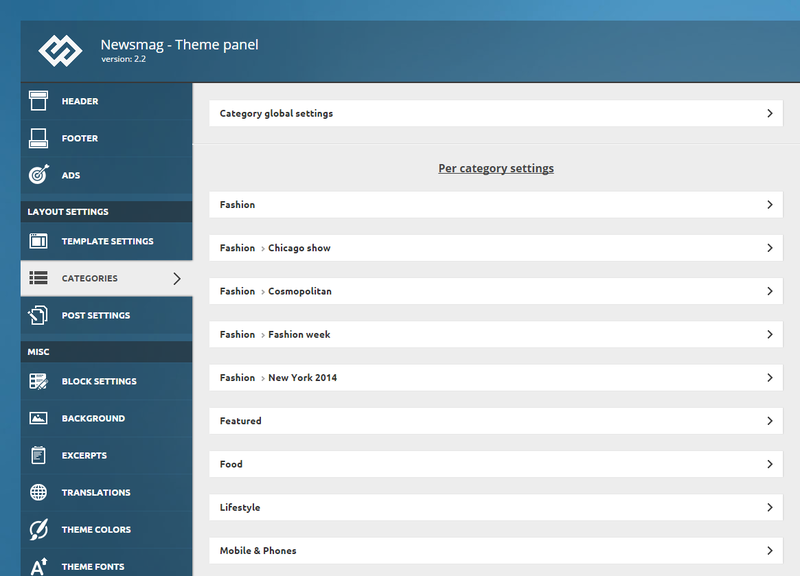 To set up a category, go to the Theme Panel > Categories. In the main Categories panel, you will find a Category Global Settings and a ‘Per category’ Settings section, which contains a different options panel for each category you have on your website. In the screenshot below you can see the settings available in the “Fashion” category. Each category has this panel associated with it.